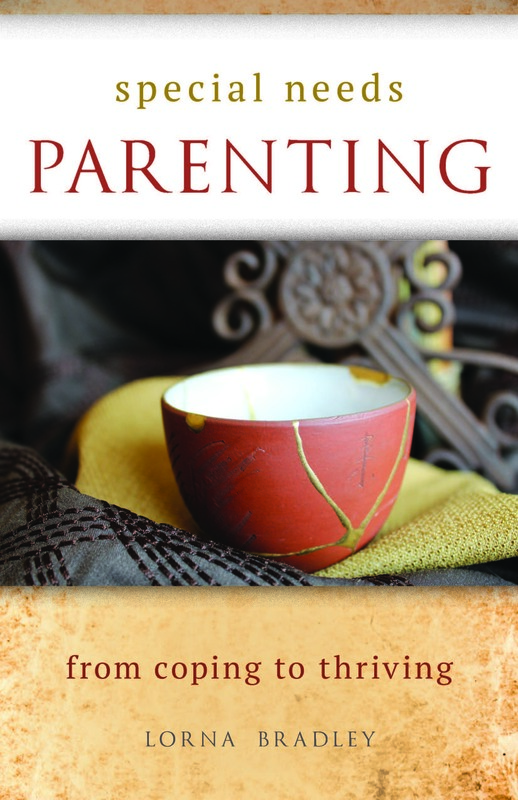 Jeff Davidson, founder of Rising Above Ministries, authored a must read book for fathers of special needs children. No More Peanut Butter Sandwiches: A Father, A Son with Special Needs, and Their Journey with God chronicles his life as a special needs parent. 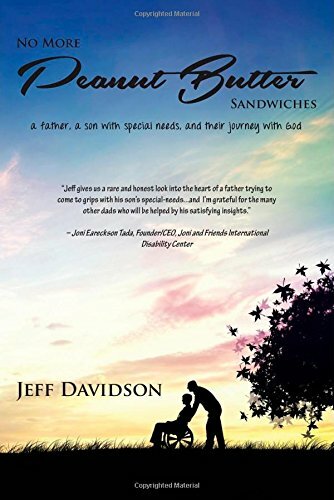 Jeff presents a poignant and transparent look into his thoughts and feelings, offering the reader a chance to connect with the roller coaster of emotions and spiritual challenges that often accompany special needs parenting. As the father of a child with severe physical challenges as well as autism, Jeff’s journey resonates across a variety special needs life circumstances. Each chapter is grounded in his theological understanding of God’s grace and love. Jeff is passionate about filling the gap of support for special needs dads. He discusses in an opening chapter the need to reach out and encourage dads in particular due to a trend that he calls “vacant dads.” Having walked the journey as a special needs father, Jeff offers unique insights about how to avoid the pitfalls that make it so tempting to “check out.” His is a positive and encouraging message that in no way sugar-coats the reality of hard days. His voice of wisdom and experience guide the way on a journey toward acceptance, revealing moments that transcend real time when God steps into everyday life with Jeff and his son. Jeff has created the No More Vacant Dads Initiative, a positive ministry with a mission to preserve, encourage and equip special needs dads. Still in the start-up phase, there is a long-term vision for coaching and mentoring. You can learn more about Jeff’s ministry through GoodnightSuperman.com. About the Author: Jeff Davidson is the founder and President/CEO of Rising Above Ministries, a national special needs ministry serving special needs families. A pastor, speaker, and author, Jeff says he was chosen to be the dad of a son with special needs, and called by God to minister to those in the special needs community. Rising Above was birthed by Jeff, and his wife Becky, based upon their own experiences raising their son with profound special needs. In addition to his own blog, GoodnightSuperman.com, Jeff also is a contributing author to the blog Not Alone SpecialNeedsParenting.net and he writes atComfortinTheMidstofChaos.com. In addition, Jeff is a team member and special-needs writer at 1Corinthians13Parenting.com. He also serves on the advisory team and blogs at Disability Matters WhyDisabilityMatters.org. Everyone wants and needs relationships. We are hard-wired for it. One of the biggest hurts I have felt as a parent is wanting my child to feel accepted and connected to others. In the support groups I lead it is a common issue that resurfaces again and again. I talk to parents about nurturing the relationships they do have and they switch to talking about relationships their children don’t have. I have been mulling around an idea that has not really taken shape yet, but it goes something like this. Wouldn’t it be great if churches could host a “Just One Friend” night. Invite the special needs community and anyone else who is looking for friendships. Set up games and activities. Parents stay and help foster connections. This in’t a respite night. It’s a relationship building night. Kids build relationships with kids. Parents build relationships with each other. The general premise is that folks are coming to have fun and meet new people that they may want to connect with after game night is over. That’s kind of a bare bones snap shot, but I think it could be a way churches could offer important relief from isolation, which is a big part of healing on the journey with special needs. Remind your child that everyone will be looking to meet new people. They are not alone in that feeling of being in a class with new people. Have your child talk to kids who are friendly and suggest they ask them questions. Kids love to talk about what they did over the summer. Be an interested listener. If you feed them they will come. If Craig had a friend over in elementary school (not an everyday occurrence!) I’d ask his guest what was his or her favorite cookie and then bake them while the kids played. Over the years Craig’s friends started calling our house Craig’s Pub. As teens, I started calling them the herd that comes to graze. BTW – 5 grazers coming for a half day video game birthday bonanza this weekend. (Number of gamers times number of pizza slices I think they want plus an extra two per person because they are boys divided by the number of slices in a large pizza…) Prayers appreciated that I don’t get trampled in the kitchen! In keeping with the above strategy, drop by once or twice a month to the school cafeteria with a couple of pizzas or one of those giant cookie cakes. Some folks grab a slice and run. Others grab a slice and stay. Be intentional about fostering relationships. Even small acts of kindness are nurturing. What are some friendship strategies that have worked in your household? Please comment and share ideas. You never know what may help another parent spark a friendship. Prayer: Loving God, We are wonderfully made to be in connection with others. Please help those connections to grow among our children. Calm nervous feelings about meeting new people and open pathways for meaningful relationships to flourish. Amen. Didn’t summer just start last week or the week before? Yet there they are. Ads in the paper for back-to-school supplies. My Facebook feed is full of friends caught up in back-to-school preparations. Friends who are teachers are posting pics as they fit in one more vacation before the new school year. As a special needs parent, back-to-school comes with an oddly mixed sensation of anxiety and hope. I am always hopeful for a new year and new possibilities. It’s the “what if” gremlins that make me anxious. With a little experience I finally figured out the first day of school routine. I pray my son out the door with a positive, “God’s got you, so you’ve got this!” and keep the anxiety part to myself as I sit by the phone and wait for the call from the school office. 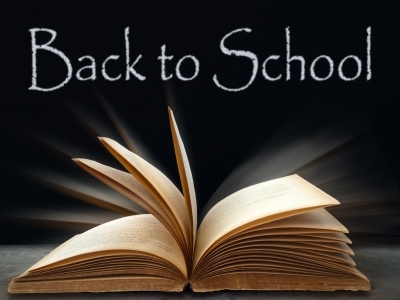 Autism and the first day of school. The call was inevitable at my house. I learned just to go with it. My biggest prayer for my son each year is to make one friend. Just one. One good friend will see you through anything. Barnabas traveled with Paul on long and dangerous journeys to share the gospel. Moses had Aaron on his journey to and from Egypt. David had Jonathan through battles and political intrigue. Of course my dreams were more sedate. I simply prayed for a person to sit with my son in the cafeteria and maybe hangout to build Lego castles and help save the world in the latest video saga. Looking back over the years that prayer has been answered each year. Some of those kids my son connected with in elementary school are still friends after high school. Some are neuro-typical. Others are not. In the long run those differences matter little between real friends. The truth is that sometimes friendships bloom out of the most unlikely connections if well-nurtured, though I did give Craig one piece of advice that really helped. 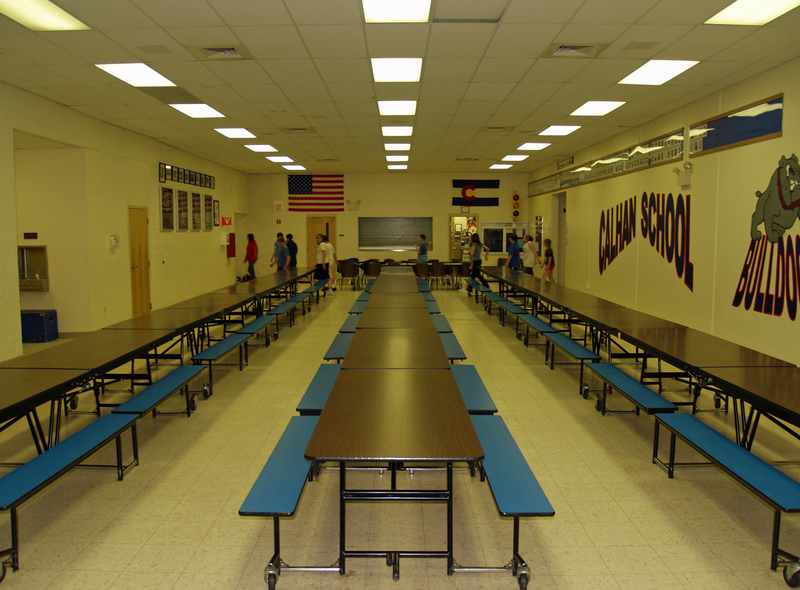 Look for the kid who is by himself at lunch and go join him. I bet he would like to have just one friend too. Check back tomorrow for my post with practical strategies for helping our kids make friends. Prayer: Loving God, Watch over our children as they look for friends. Create pathways for connections where they feel loved and accepted. Amen. If I had known the day was going to include a life or death, headlong, downhill race after my son, I would have worn different shoes. In hindsight, I should have seen it coming. That was mistake number two. Back in the day in Alaska I rode horses and my husband would meet me at the barn with our son. After I had finished my ride, we’d buckle on a helmet and Craig would sit in the saddle in front of me, kicking his tiny feet, “Go Alex, go!” Each time he got to the barn, he’d see me jump a fence or two, call out, “my turn!” and he’d get a ride. You know how kids with ASD are about routine? Well, I hadn’t figure that out yet. I called after him that he couldn’t ride those horses, thinking he would stop. Ya, right. All I managed to do was let him get a head start. That was mistake number three. Game on! All dignity gone, feet skidding wildly, I finally managed to scoop up Craig about ten yards from the rail. Frankly, I was glad I didn’t fall on him and crush him. I tucked him under my arm like a wiggly football, full of giggles for his great adventure, and started the long trudge back up the hill to scattered, polite applause, apologizing to far more people than I care to remember. I was embarrassed, they were amused. I realized in that moment how deeply I loved my child. I couldn’t think of logical consequences for a punishment, nor behavior plans. I doubt in that moment I even knew my own name, but I felt an overwhelming sense of love and knew nothing would keep me from chasing after him. Perhaps that was for me a dim glimpse into the love that Paul writes of in his letter to the Romans. Figuring out what to wear was a bit of a challenge. I discovered at the last minute that I do not have much blue in my professional wardrobe, but one royal blue cardigan peeked out among a rack of long sleeves. Putting it on, I recalled something else I own that went perfectly with that royal blue sweater, a magnificent fascinator filled with feathers, tulle and a bow, all framed in a malleable brim. 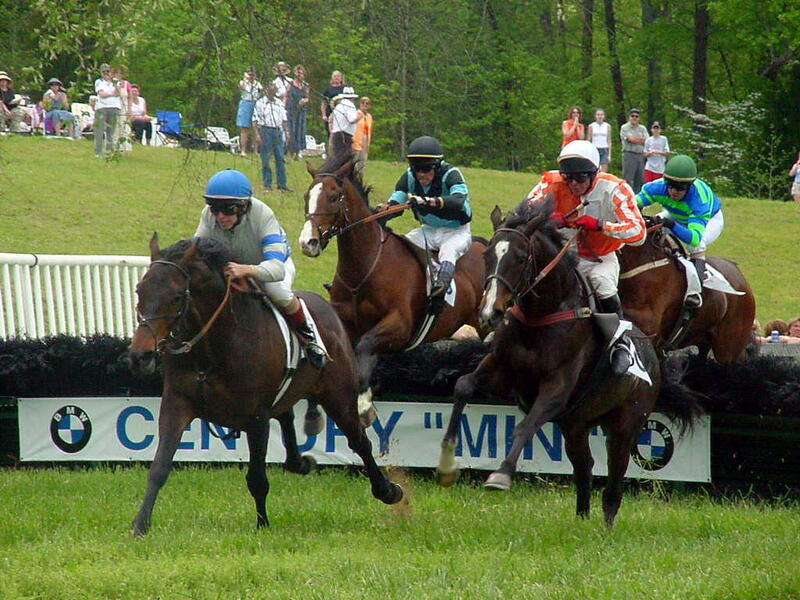 I bought it for a trip to the Kentucky Derby that never happened. Just the perfect thing to add a bit of whimsy to a day of celebration for friends whose lives could use to be celebrated publicly much more often. 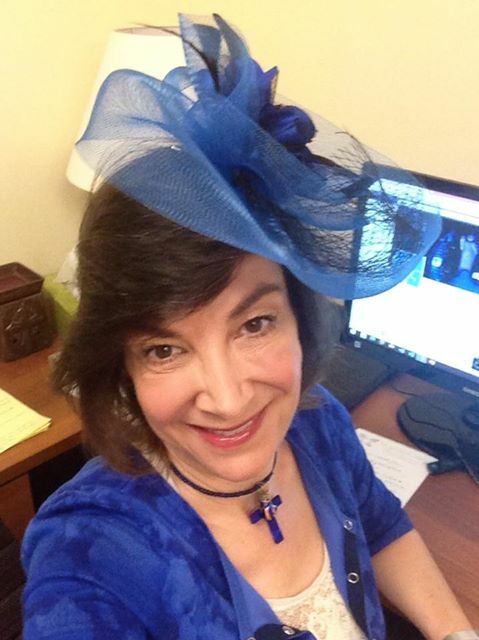 Upon arrival at the office, I clipped on the fascinator at the oh-so-perfect, jaunty angle (no small task that! ), snapped a selfie, posted it and tagged my many friends whose lives are touched by ASD. In the parent support group that I lead, we’ve all experienced times when we get tired of receiving “the look” and choose to withdraw. It’s easier to be alone, or so we tell ourselves. It is really isn’t. We are made for community. It reminds me of the story in the Gospel of John. Jesus was walking through Samaritan territory and he stopped at a well in the middle of the day while it was hot and no one else was around. Soon a woman came, one who chose to isolate herself from stares and whispers, coming to the well in the hot afternoon sun when others were at home. It was easier for her to be alone, too. But it really wasn’t. And Jesus knew it. By the end of her conversation with Jesus, she was restored to community. So eager was she to get back to her people, that she left her water jug by the well and ran all the way back to her village, inviting others to come and see Jesus for themselves. That is what Christ does for us. He restores us and calls us out of isolation and into community. Yes, even us with lives touched by special needs.